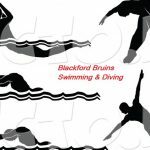 Boys Varsity Swimming, Girls Varsity Swimming · Dec 1 Swimmers Fall to Bellmont. Girls swim practice on Friday will be held at Jay County HS from 5:45-7:15pm. Coach Geise will share more information during practices to that point. Spread the word. There is a pre-season meeting for all swimmers in grades 9-12 and their parents tonight at 6pm in the BHS Cafeteria. Please plan on attending to get important information about the season.